Meet Fan Liu of the Sylvester Comprehensive Cancer Center in the University of Miami. The research assistant professor in Stephen Nimer’s lab was back on campus for her second CSHL meeting: Epigenetics & Chromatin. My research focuses on epigenetic regulation in normal and malignant hematopoiesis, and targeting abnormal epigenetic landscape in myeloid malignancies. I got into this field because I was always curious about the transcriptional regulation of gene expression and how it influences cancer cell behavior. Although we used to think that cancer is a disease of genomic alterations, it is clear now that it is actually a genomic and epigenomic disease combination. I officially started my scientific journey 18 years ago, when I was accepted into the PhD program in the University of New Mexico. Before that, I interned in a hospital in China where I saw, first-hand, too large a number of patients die from various cancers; especially children who passed due to leukemia. Since then, and it may seem very naïve now, those experiences were what led me to devote my career to finding a cure for this terrible disease. Was there something specific about the Epigenetics & Chromatin meeting that drew you to attend? The new concept, cutting-edge techniques, and sophisticated research work from world-famous laboratories are the major attractions of this meeting. My takeaway is that cancer cells could have millions of ways to disrupt the normal epigenetic landscapes; and therefore, targeting epigenetic regulators in the hope of reversing the malignant phenotype could be cell context dependent. I learned a lot from this meeting. I have been having a hard time figuring out the mechanisms of a crosstalk between histone arginine methylation and lysine methylation but I got some ideas from the work presented in this meeting by colleagues. I plan to test these ideas when I get back to my lab. I will strongly recommend this meeting. 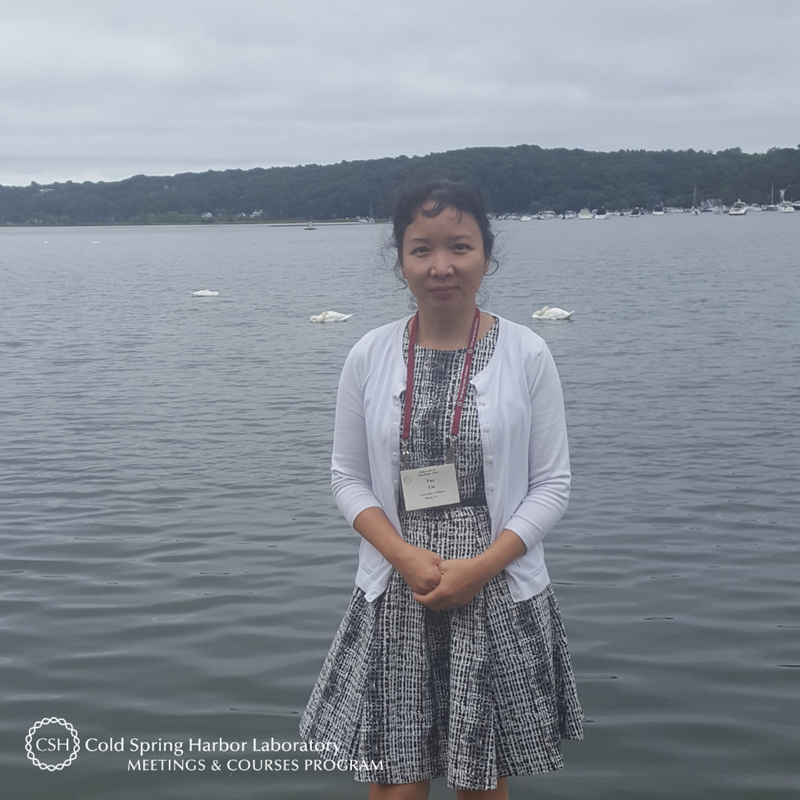 How many CSHL meetings have you attended? This is my second meeting so far and would love to attend more in the future. CSHL is a great organization with a beautiful campus. And the food is great. Thank you to Fan for being this week's featured visitor. To meet other featured scientists - and discover the wide range of science that takes part in a CSHL meeting or course - go here.